This is one of those ideas that came to me as I was trying to fall asleep the other night. Maybe I was hungry- not really sure. I wanted a game that was simple, could be played at a variety of different developmental levels and was fun. Here is what I came up with. Print out the templates on card stock. 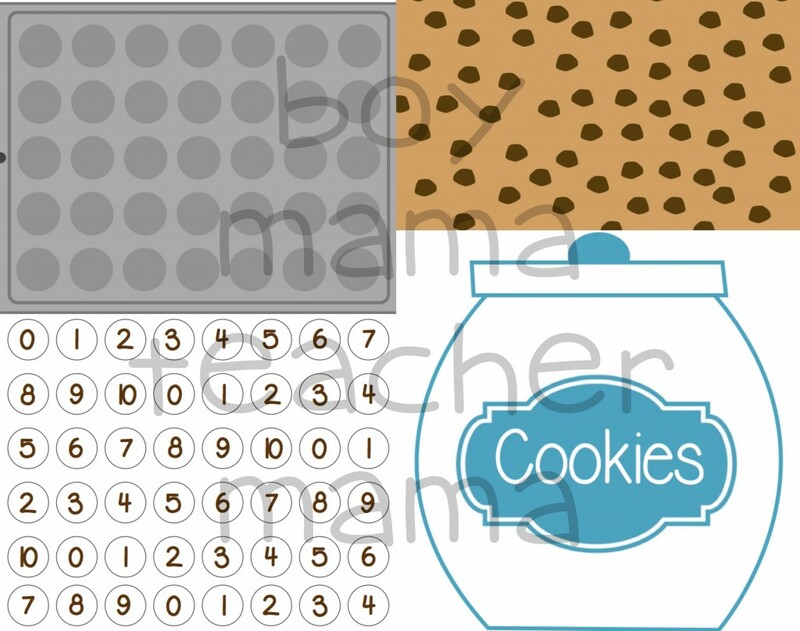 Print the cookie print page on the back of the number page. 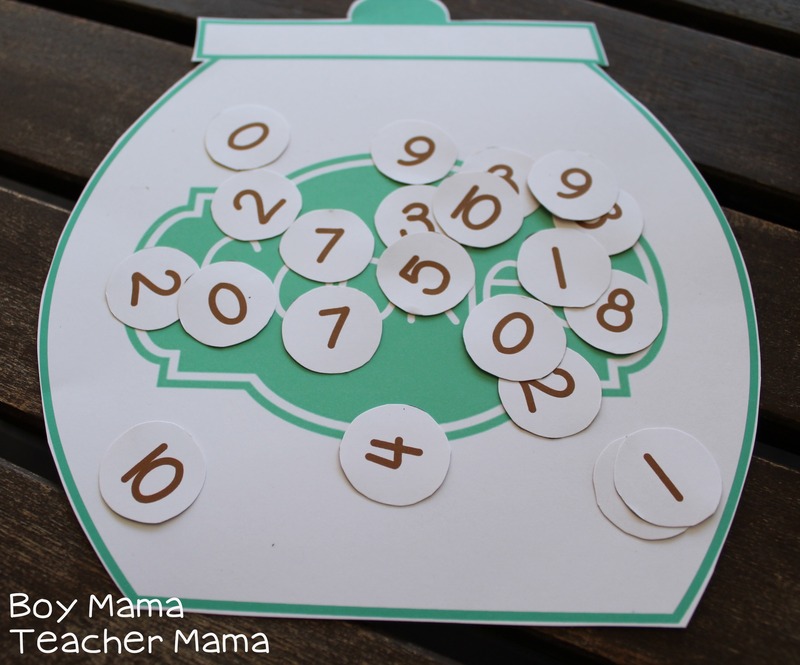 Cut out the cookie sheet, the cookie jars and the cookie numbers. Each player gets a cookie jar. 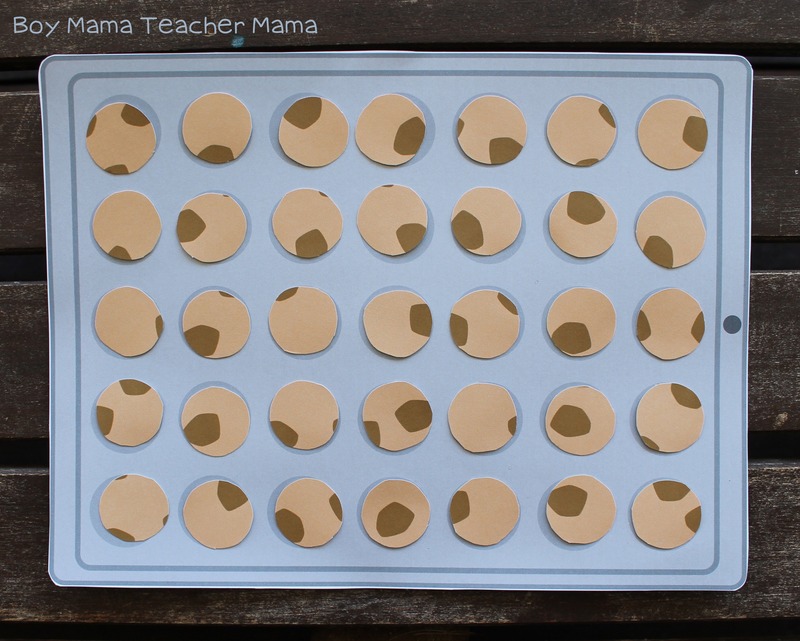 Place the number cookies on the cookie sheet either face up or face down depending on the directions. These games can be played alone or with a partner. Number Recognition Face Down: Place all the cards face down. Players choose one card at a time and name the number on the card. If they identify the number correctly, they put the card in their cookie jar. 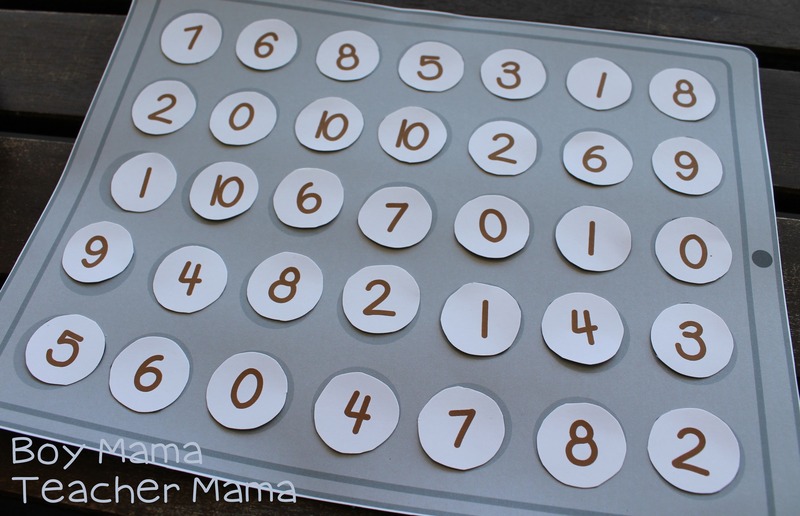 Number Recognition Face Up: Place all the cards face up. One player tells the other player what number to locate. The other players finds that number and puts it in his cookie jar. Simple Addition: Place the cards face down. 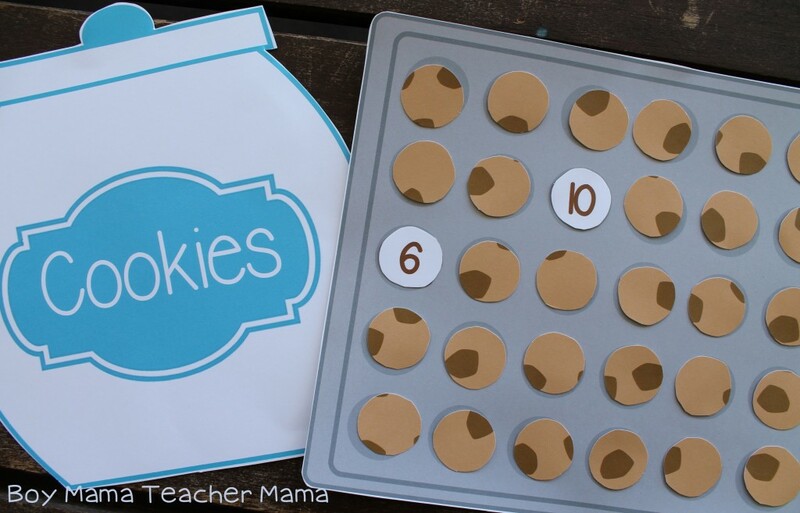 Players choose two cookies and add the two numbers together. Simple Addition with a Partner: Place cards face down. 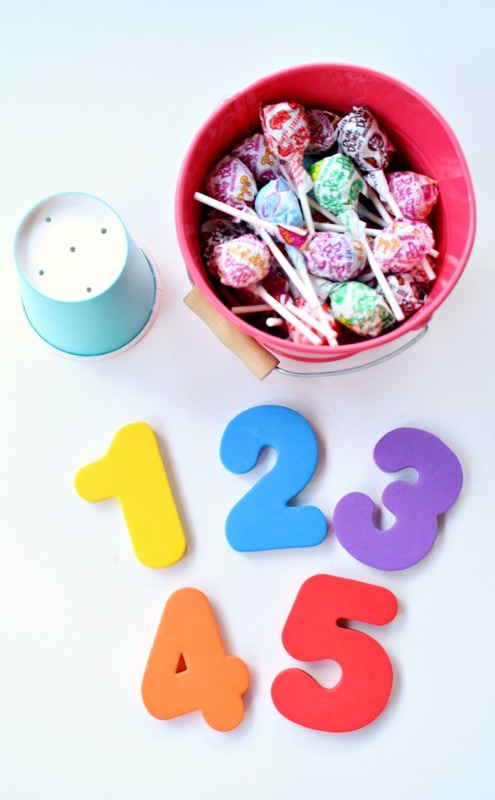 Players choose two cookies and add the two numbers together. The player with the highest sum gets all the cookies for his cookie jar. Strategic Addition: Place all the cards face up. 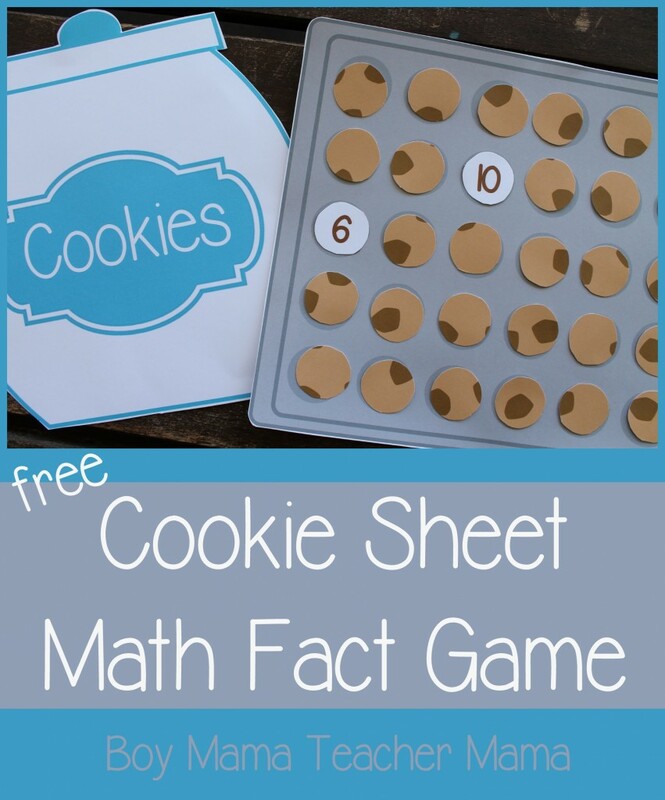 Look through the cookies and choose two cards that add up to the biggest number possible. 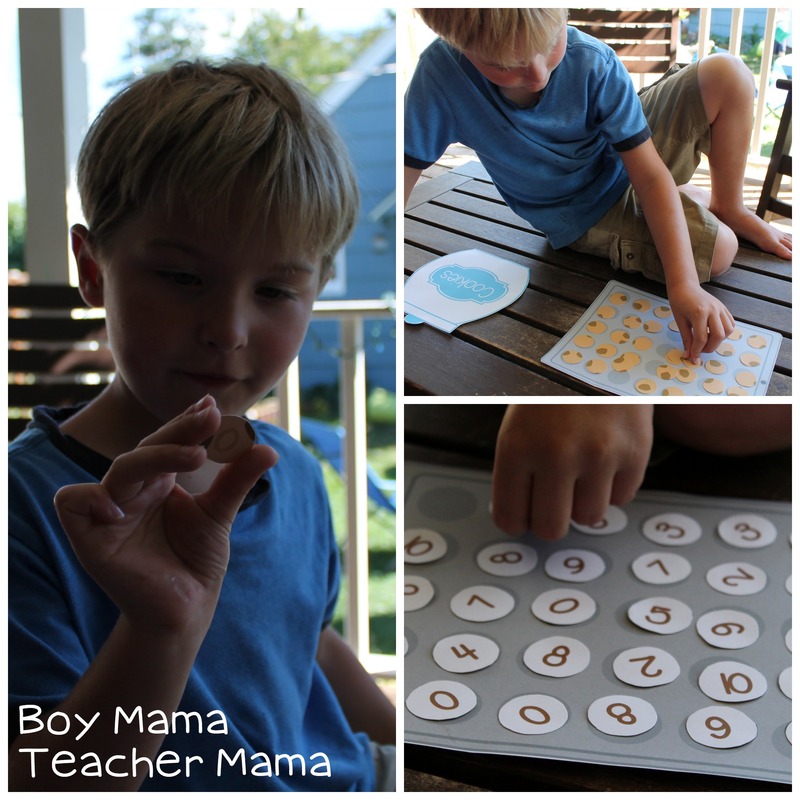 To make it more challenging, the two numbers must be next to one another on the cookie sheet in order to count. Strategic Addition with a Partner: Play the same way, but try to get a larger sum than your partner. The person with the highest sum gets to put all the cookies in his jar. 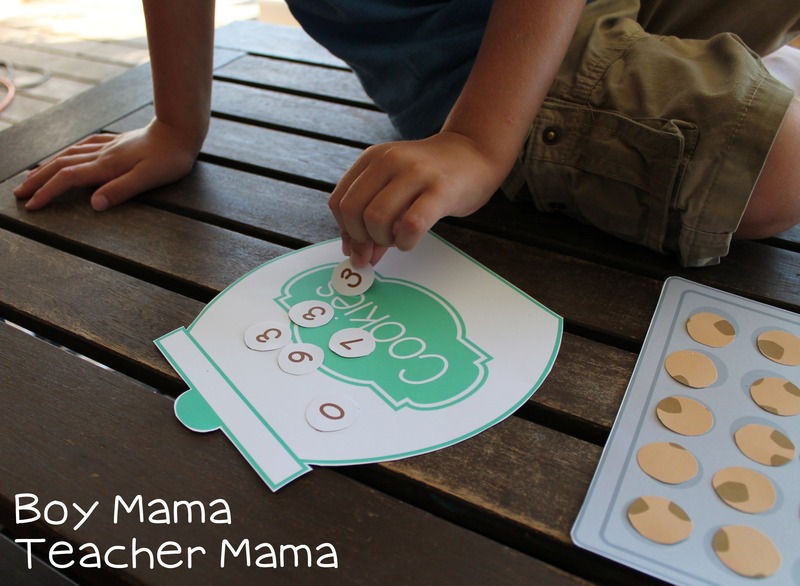 Simple Subtraction: Place all cards face down. Player chooses two cards, determines the larger number and subtracts the smaller number from the larger number. All the cookies go in their cookie jar. Simple Subtraction with a Partner: Place all cards face down. Play the same way as simple subtraction, but two players play against each other and the player with the highest answer takes the cookies. Strategic Subtraction: Place all the cards face up. Player chooses two cards, determines the larger number and subtracts the smaller number from the larger number. All the cookies go in his cookie jar. Strategic Subtraction with a Partner: Place all the cards face up. Play the same way as strategic subtraction, but two players play against each other and the player with the highest answer takes the cookies. Love it!! I was looking for something different to use with my preschool class. It’s perfect, thank you for sharing! I am so happy you like it Cheryl!!! Enjoy!! This looks like an adorable game! Featured you on Mom’s Library! Great idea! 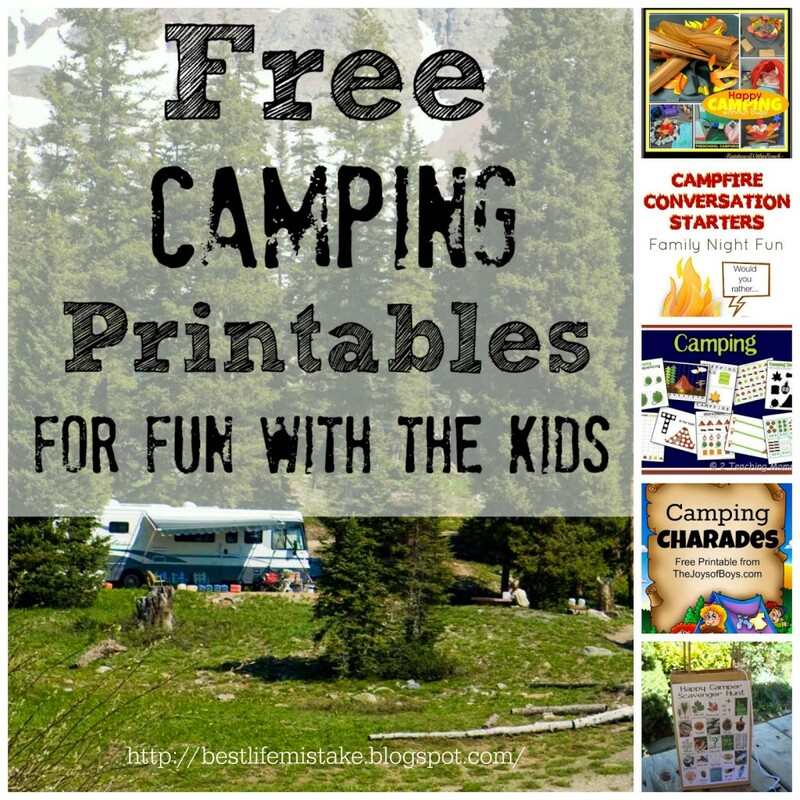 Thanks for co-hosting After School Link Up! Cool! This looks like lots of fun. I love using different math games!